GiLoCatur would like to congratulate Yeoh Li Tian for his feat and achievement winning the Zone 3.3 Chess Championship. 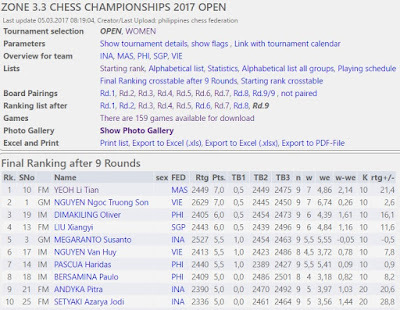 Li Tian has emerged as the champion in the tournament's Open Section held in Tagatay, Philippines from 24th February until 6th March 2017. It was a coincidence that GiLoCatur was at KLIA 2 flying to Kota Kinabalu when Li Tian arrived home from the championship. 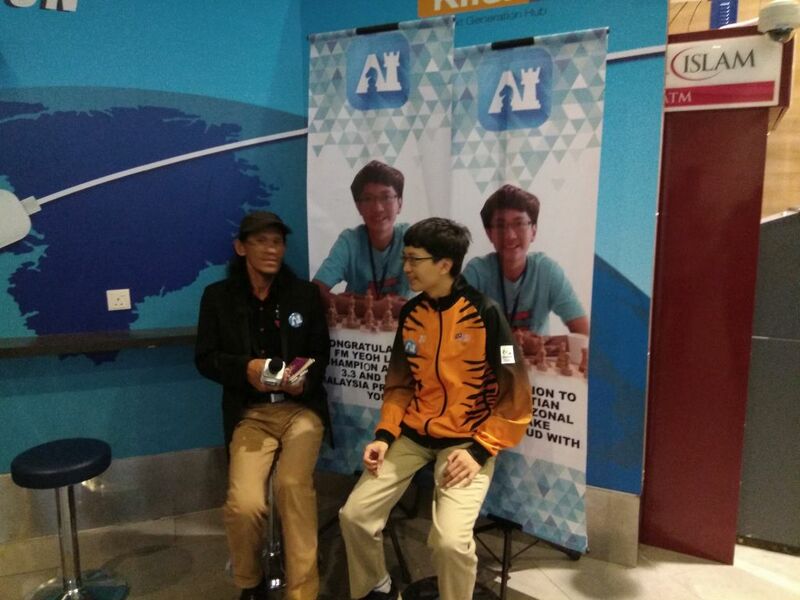 It was a great moment for GiLoCatur having the opportunity to welcome Li Tian home after winning the championship, the first ever by Malaysian chess player. When GiLoCatur knew about Li Tian and his talent in chess? The above picture taken during the MSS Selangor chess championship in April 2008 provides the answer for the above question. Aged nine years old then, Li Tian emerged as the champion for MSSS L12 Individual. 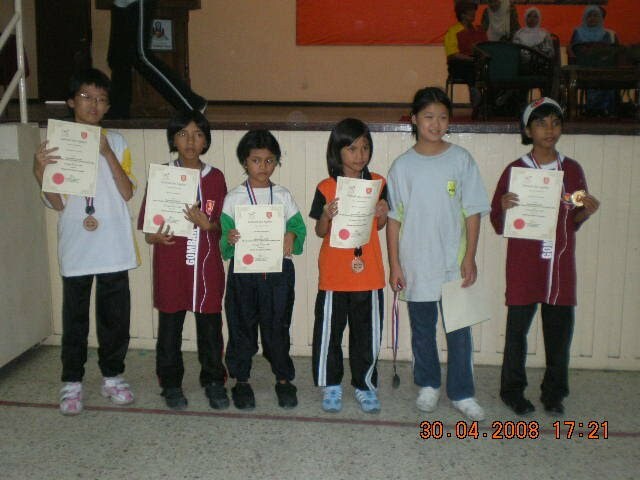 The chess championship is also the first MSSS editions that GiLoCatur attended. GiLoCatur did write about Li Tian here in late April 2008 as one of the four under 12-years-old Players to Watch. 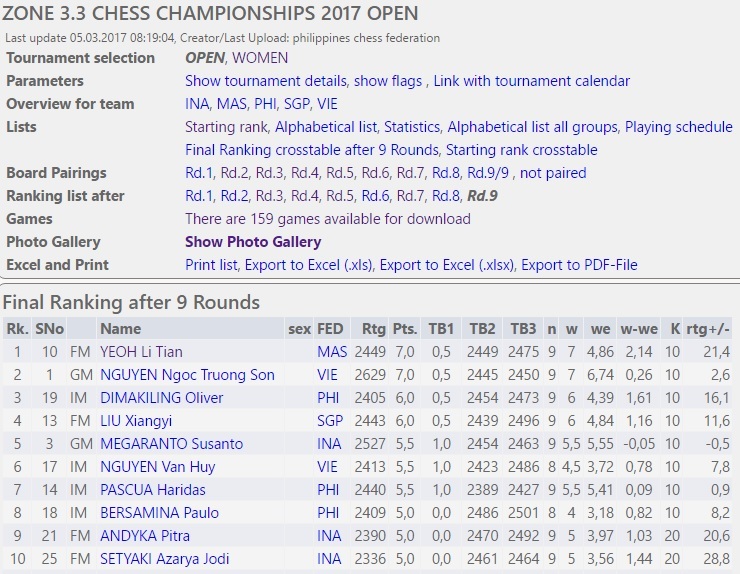 Surely enough, nine years later Li Tian is getting closer and closer to become the Grandmaster (GM), most probably the first one for Malaysia. Another moment that GiLoCatur remembers about Li Tian is when GiLoCatur was crushed by him at one local chess tournaments in 2008 with Bishops. In the championship, Li Tian has scored 7/9 points from five wins and four draws. He had played against three GMs from three different countries - GM Nguyen Ngoc Truong Son from Vietnam in the third Round, GM Antonio Rogelio Jr from Philippines and GM Susanto Megaranto from Indonesia. 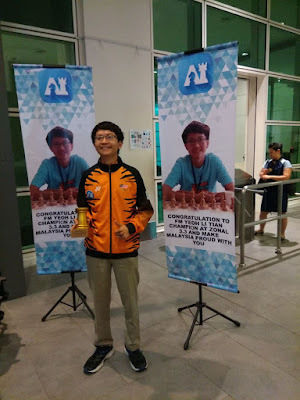 Put the great achievement of Li Tian aside, GiLoCatur is puzzled why Malaysia does not send at least one of its current Top Malaysian female players, the Malaysian 2016 Woman National Champion for example, to the Zone 3.3 Chess Championship in the Women's Section. Having achieved the best result thus far in the last World Chess Olympiad, one of the Malaysian Women 2016 World Chess Olympiad team members deserved to be given a chance to participate in the Zone 3.3 Chess Championship. Three of the current Malaysian Top 5 Women players and 2016 Malaysian World Women Chess Olympiad team in the FIDE Ranking were in GiLoCatur's Players To Watch List (as per in below picture) nine years ago. 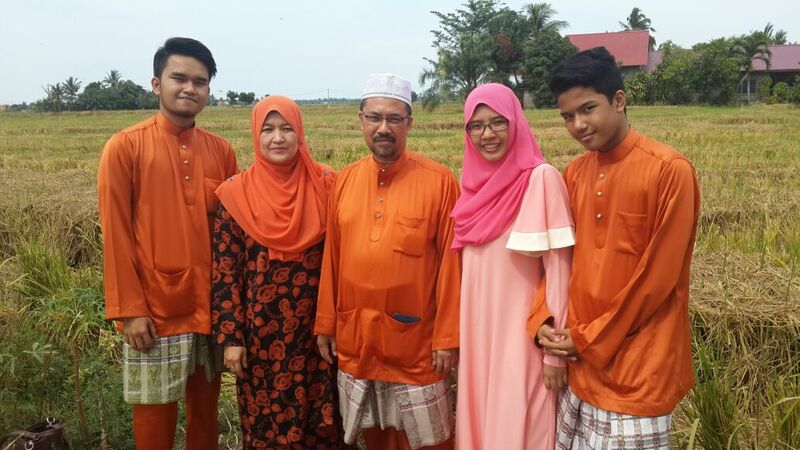 They are Nur Najiha Azman Hisham (2031), Nur Nabila Azman Hisham (2013) and Puteri Rifqah Fahada Azhar (1954). SYABAS & TAHNIAH, LI TIAN! Not forgetting the key and main factor behind Li Tian's success, GiLoCatur congratulates his parents for sure. BRAVO and KUDOS to Mr Yeoh Chin Seng and his wife, Mrs Yeoh aka Ong Pek Yean. Well Done! Have you been at PICC? What is PICC? Sorry for not explaining what PICC is. 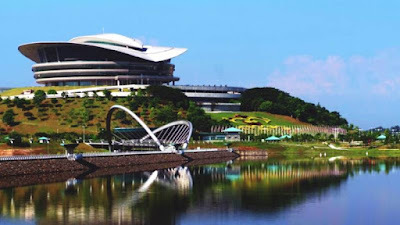 PICC is the acronym for Putrajaya International Convention Center. 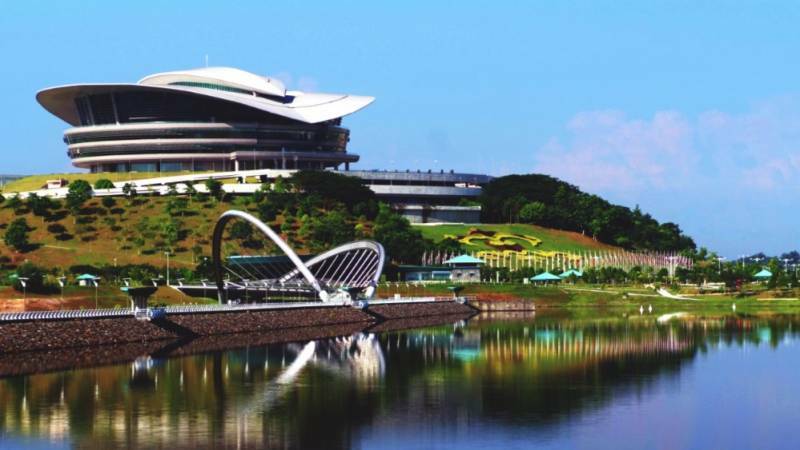 As in its name, this convention center is located in Putrajaya. It was completely built in September 2003. PICC confines an area of 135,000 square meters, or approximately 1.3 million square feet. It can accommodate up to 10,000 people, with more than 57 halls and small rooms ready to be used. Please do not confuse with PWTC. PWTC is Putra World Trade Centre. 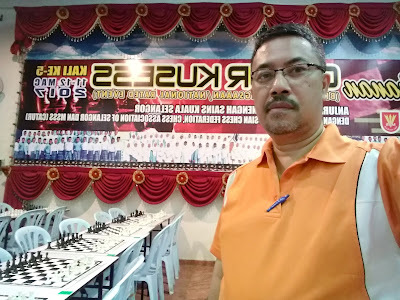 To GiLoCatur's knowledge, PWTC had been the venue for chess tournament in 1980s. But PICC has never been a venue for a chess tournament. This will change tomorrow. The PICC will be a venuie for a chess tournament starting tomorrow. 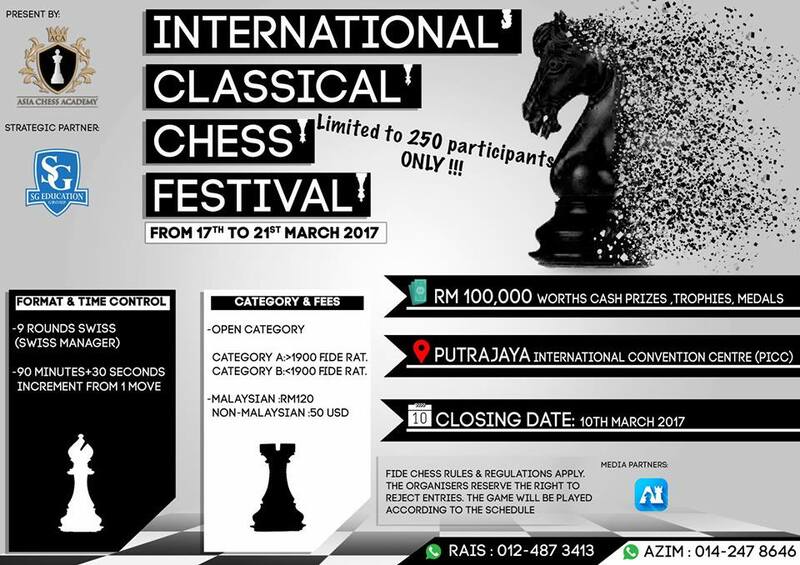 The chess tournament is called The International Classical Chess Festival. 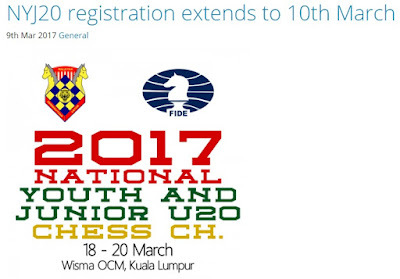 It is organized by Asia Chess Academy and SG Education. 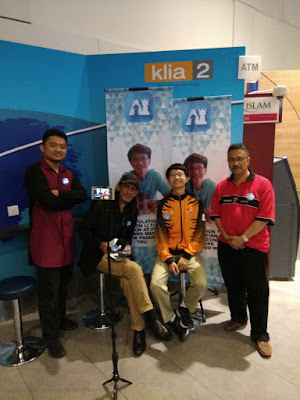 Looking at the money prizes, GiLoCatur can say that the chess tournament offers the highest money prizes so far for a Malaysian chess tournament. 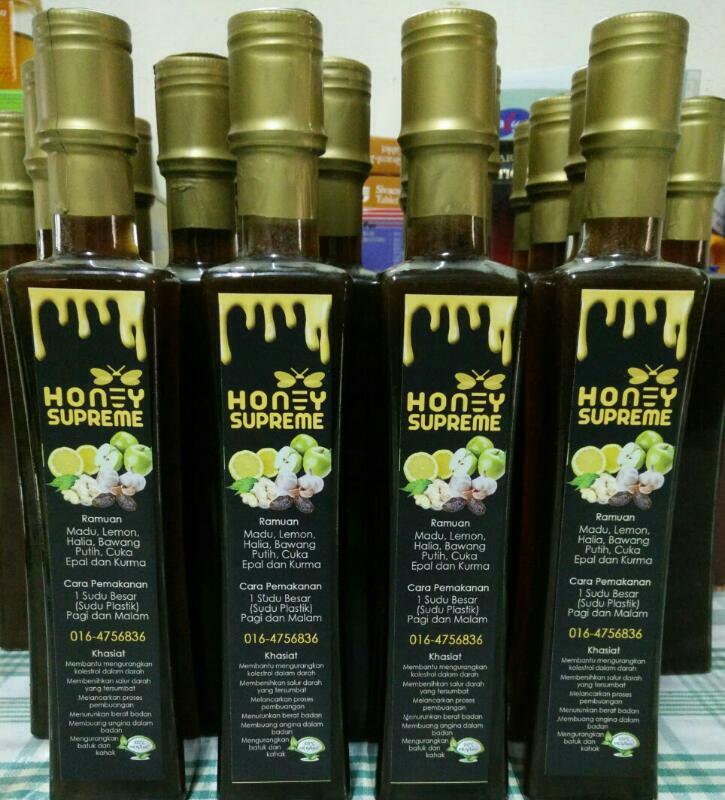 It offers Malaysian Ringgit One Hundred Thousands worth of money prizes, trophies and medals. There are two categories in the tournament - The Open and The Challengers. The former category is for chess players with 1900 Elo Ratings and above. Meanwhile, the latter category is for chess players with 1900 Elo Ratings and below. 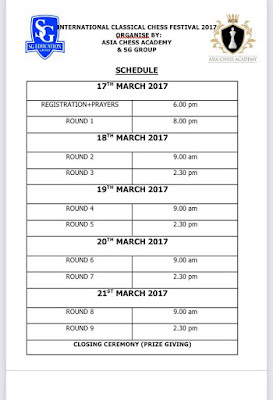 Below is the tournament's schedule. GiLoCatur plans to go to PICC since GiLoCatur has never been at the grand convention center. 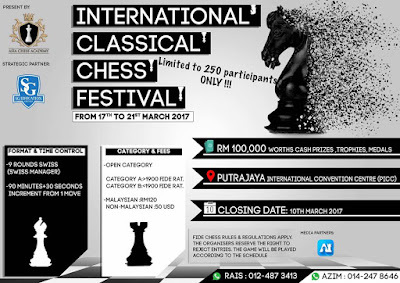 It will be a great experience to do a coverage for the chess tournament. When GiLoCatur says NAG, do you know what it is? 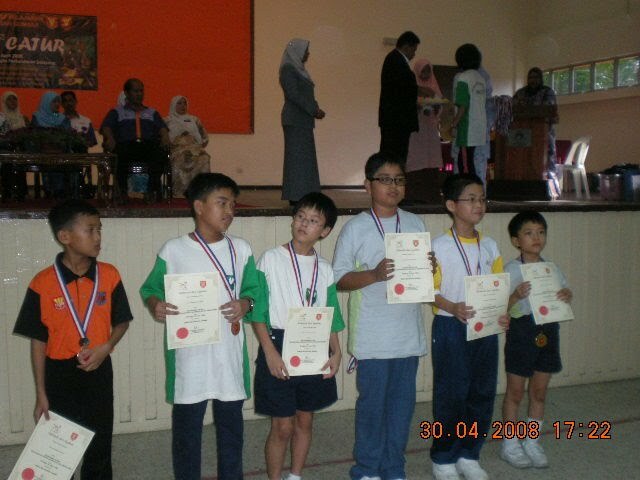 GiLoCatur was introduced to NAG in 2008 when Fikri began his chess journey a decade ago. NAG is an acronym for National Age Group. 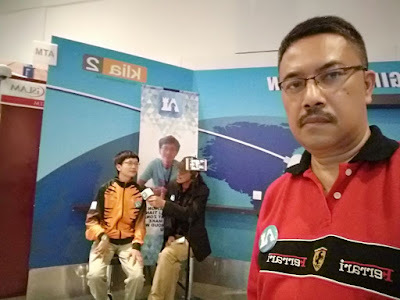 Most Malaysian chess parents are familiar when the Malaysian age-group chess tournament is being held. It is usually in the March school-break. But for this year edition, NAG has changed name. If you ask GiLoCatur which name is preferred? The old name NAG or the new one which is NYJ20 which stands for National Youth and Junior U20 chess championship? Honestly, GiLoCatur prefers NAG. Why? Keep the tradition going. Maintain the name. It has become a well known name. Why need to change? Oh, GiLoCatur just realized that there is another category which is U20 or Under 20. 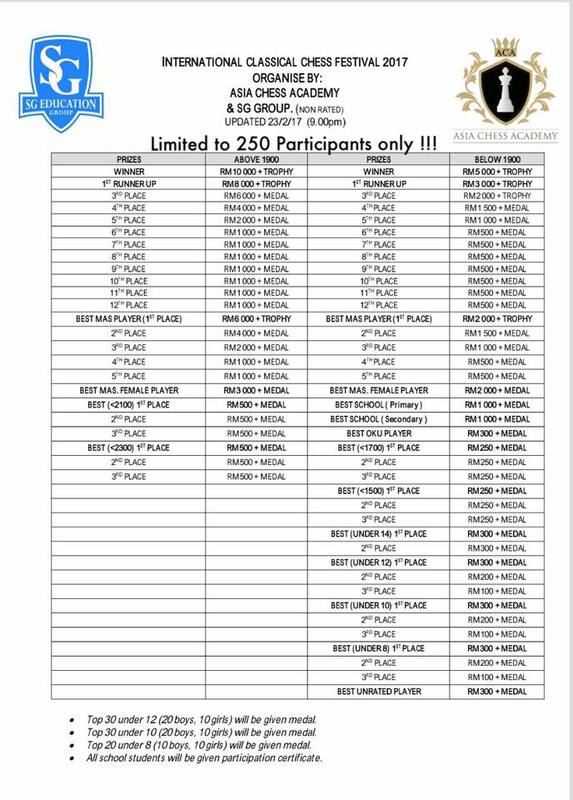 Only one of three GiLoCatur children is eligible to take part in the NAG 2017. Both Fikri and Anis are over 18 years old. The former will be 21 years old in November while the latter will be 19 years old in less than two months. Anis is eligible to participate in the U20 category, GiLoCatur believes. GiLoCatur believes there are many questions among you regarding the NAG especially the winners of the past editions. Even, GiLoCatur has own questions regarding the championship that need to be checked in this blog if there are the answers. Did GiLoCatur's children took part in all editions? Which editions that none of GiLoCatur participated? Where was each edition being held? Who were the winners for each age-group category for each edition? OK, GiLoCatur will try to provide the answers for the above questions. 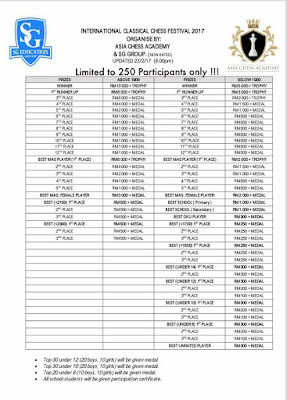 Click below entry to find out the champions or winners for the past NAG chess championship. 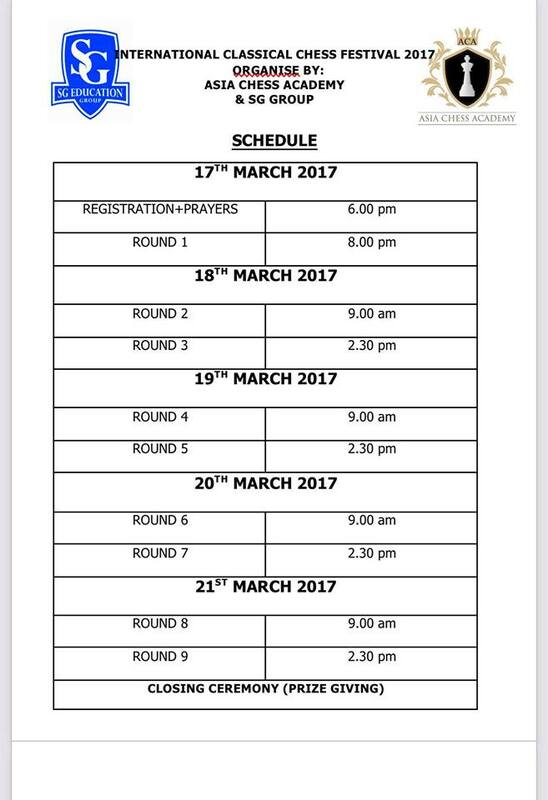 GiLoCatur would like to wish GOOD LUCK and ALL THE BEST to all the participants in the NAG 2017, oopps, NYJ20. It is about six weeks that GiLoCatur had not updated this blog. GiLoCatur has been very busy and hectic at work. 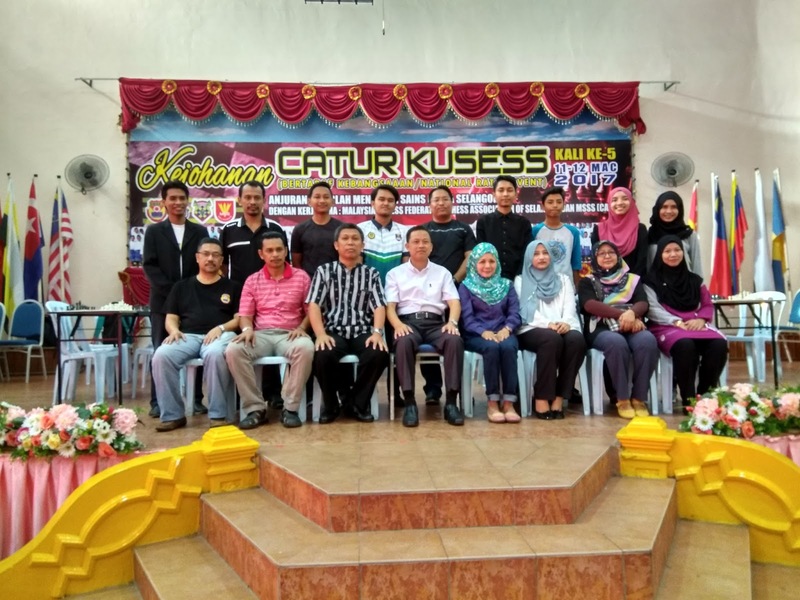 Prior to the last weekend yesterday, GiLoCatur was in East Malaysia outstation. GiLoCatur went to KK on Monday, 6/3/2017, evening and arrived at KLIA 2 on Friday night at 10:30PM from Bintulu, Sarawak. 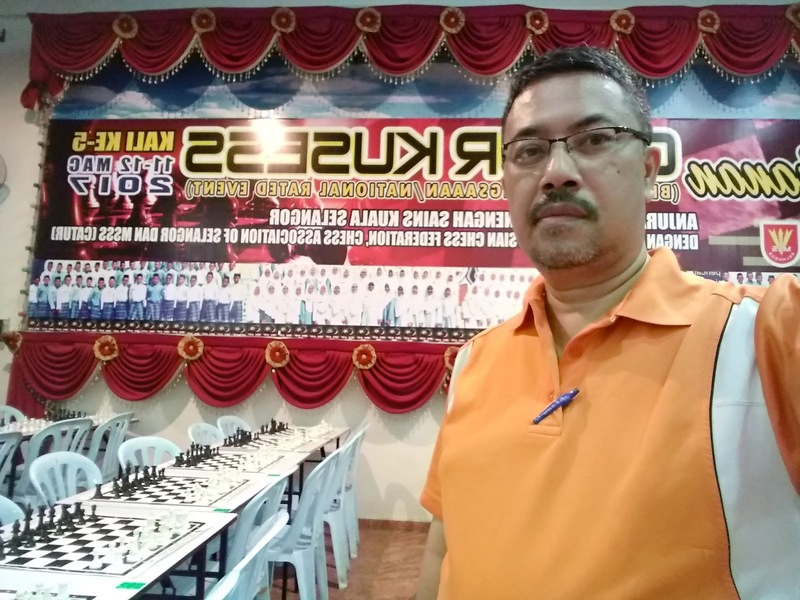 On Saturday early morning, GiLoCatur with wife and eldest child, Fikri, drove to Kuala Selangor from home to be part of the 5th Edition KUSESS Chess Open. 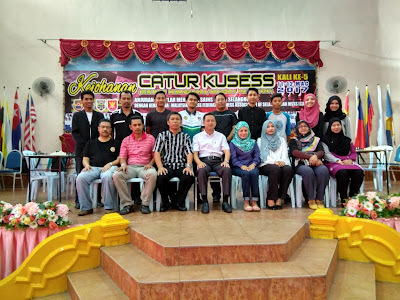 Go to KUSESS Open Blog at http://kusesschessopen.blogspot.my/ for the results and photos of the 5th Edition CATUR KUSESS 2017.